In 2013 he presented solo exhibitions Caster and Krast Crack Autumn, GRIMM, Amsterdam, and at ReMap4, Athens and in 2012 he presented solo exhibitions at Christian Andersen, Copenhagen, and The Modern Institute, Glasgow. Outset Netherlands proudly supports Alex Dordoy’s exhibition Sleepwalker in De Ateliers DEBUT SERIES at the Gemeentemuseum Den Haag. As part of a three-year project, the museum offers artists who have served a residency at De Ateliers – the leading institute for young artistic talent in the Netherlands – the opportunity to present their first ever solo exhibition in a Dutch museum. Alex Dordoy (Newcastle, 1985) is the second artist to be featured in the series. Dordoy combines traditional techniques with high-grade technology. The artist edits and manipulates existing objects, photographs, images and patterns using Photoshop, after which he develops them into paintings or sculptures in plaster, silicone or jesmonite. He created new works especially for this exhibition. Dordoy made a series of paintings based on scenes from a computer game he plays on his mobile phone. He edited the screenshots in Photoshop and then painted the images on canvas. The ‘plinth works’ or sculptures each consist of a high pedestal on which an object, such as an old laptop computer or a pair of sneakers used by Dordoy, has been placed. Here he endows used, consumed objects with a second life and a new meaning. Dordoy explores how objects can invoke varying associations at different times and in different contexts, thereby acquiring a new meaning. Alex Dordoy (1985, Newcastle UK) studied at De Ateliers, Amsterdam (2009–2011), California Institute of the Arts, Los Angeles (2005) and Glasgow School of Art (2003–2007). His latest exhibition persistencebeatsresistance opened in January, 2014 at the Inverleith House in Edinburgh. The Gemeentemuseum Den Haag has long enjoyed a close relationship with the post-graduate educational institute of contemporary art De Ateliers in Amsterdam. This collaboration with the premier Dutch institute fostering young artistic talent is to be further strengthened over the next three years with the exhibition series De Atelier Debut Series. Starting in 2013, the museum will offer a graduate from De Ateliers a first solo exhibition at the ‘projektenzaal’. Outset Netherlands is proud to be a partner of De Ateliers Debut Series and to support this unique new initiative, in collaboration with the Niemeijer Fund. De Ateliers is an independent artists’ institute. Its prestige is such that it attracts artists from all over the world to work in its 23 spacious individual studios, accommodated in a historic building in the centre of Amsterdam. De Ateliers has produced many top artists, including Urs Fischer, Joep van Lieshout, Aernout Mik and Matthew Monahan. 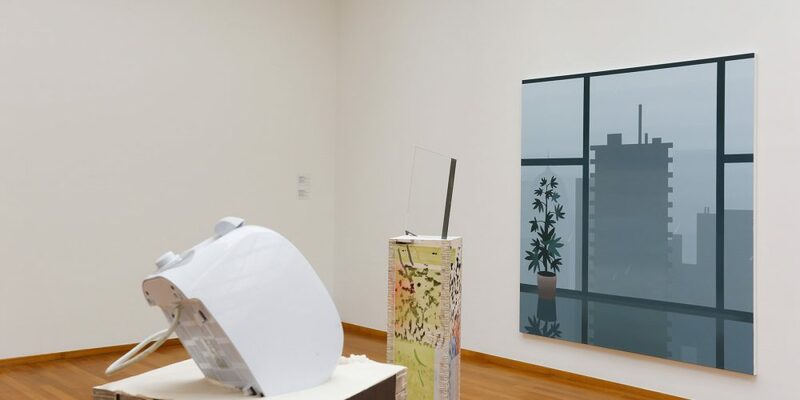 Alex Dordoy’s exhibition Sleepwalker is on view at the Gemeentemuseum Den Haag from 23rd August to 23rd November 2014.